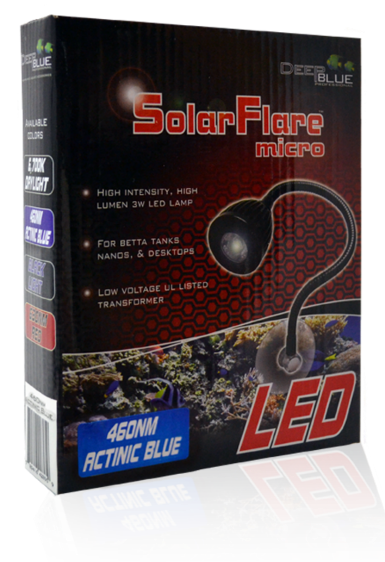 Deep Blue Professional SolarFlare Micro Suction-mount Gooseneck LED Black Light 3 Watt High-intensity single-head LED lamp with Gooseneck design and heavy-duty suction cup mount Great for most flat-sided desktop aquaria and fish bowls. 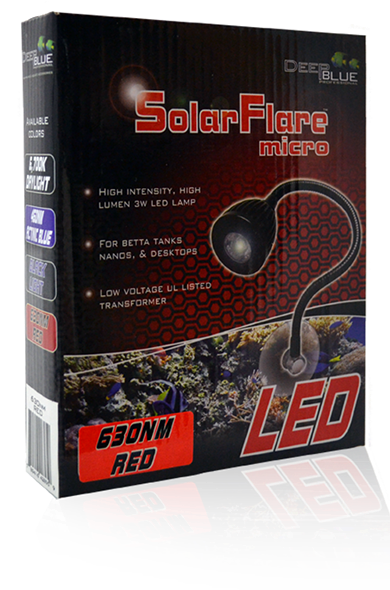 Also makes an excellent source of accent lighting for larger aquariums and terrariums. Size: 3 Watt diode Black Light LED. 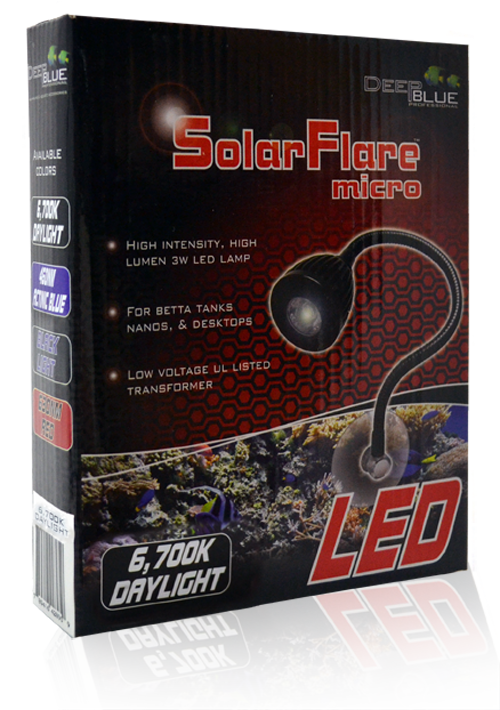 Deep Blue Professional SolarFlare Micro Suction-mount Gooseneck LED 630nm Red 3 Watt High-intensity single-head LED lamp with Gooseneck design and heavy-duty suction cup mount Great for most flat-sided desktop aquaria and fish bowls. 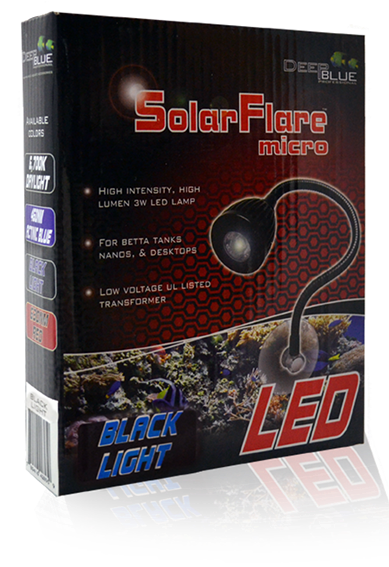 Also makes an excellent source of accent lighting for larger aquariums and terrariums. Size: 3 Watt diode 630nm Red LED.